Glossop-based agency Fig has marked its 20th anniversary with a 30% increase in turnover and the launch of a new website. Fig has won a number of new clients in the last six months including global security system supplier RISCO, leading manufacturer Northwood Hygiene Products and risk management provider for the international process industry, Thermal Fluid Solutions. The 19-strong agency launched in 1996 as copywriting and communications business First Impression, before rebranding to Fig Creative in 2012. 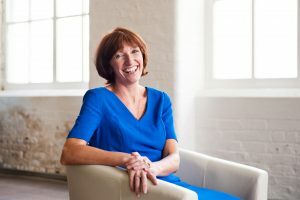 Managing director Helen Duncan said: “Over the last 20 years, Fig has grown into a truly integrated agency, employing in-house high calibre, experienced professionals, recruited from the creative, marketing, digital and PR industries. “We are proud of the long-term relationships we have built with our clients, the work we have done and the results we have helped them to achieve. The quality of our work and the sincerity and passion of our approach have earned us a reputation rivalling those of city-centre agencies.